What have you heard about palm oil? Chances are, conflicting information—and for good reason. Suppliers of the ingredient have a variety of approaches, meaning not all palm is created equal. The good news is that responsible suppliers are stepping up to offer a solution: palm oil cultivated with an eye to the environment and the farmers that grow it. 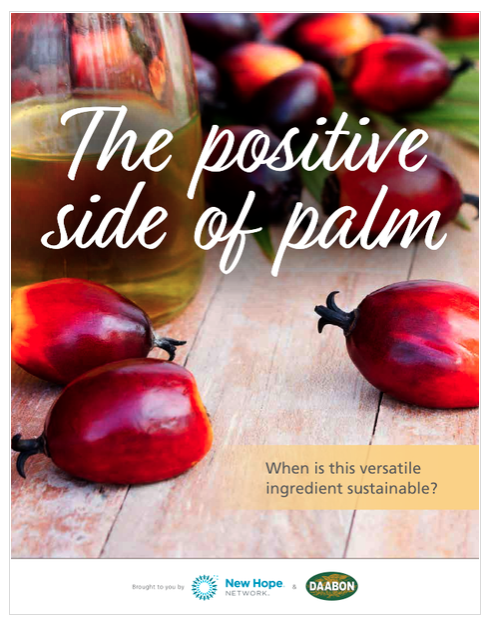 And no longer is palm’s story just about what’s happening in Southeast Asia; suppliers worldwide are helping to rewrite its future. What do you need to make the right decision? Learn more in this guide.